A thermostat is an essential part of vivarium heating. First and foremost, it will help you control the temperature inside your vivarium to stop it getting too hot and harming your reptile. Secondly, a reptile thermostat will help you automate your daytime and nighttime heating so that you don’t always need to be there to turn the temperature up and down. You can spend anywhere from £25 to £60 on a good thermostat so to help you keep your costs down, we’ve scoured Amazon’s best-selling reptile thermostats for the best ones under £30. Read on for our best picks! This great value thermostat has an LCD display and is very easy to operate. And for £29.99, there’s no wonder it’s one of Amazon’s bestsellers. It’s suitable for heat mats and ceramic heaters and will help you maintain a stable temperature within your vivarium. 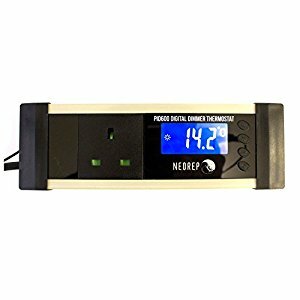 This Inkbird thermostat is great value and perfect for reptiles who need different temperatures at day and night. It lets you set two different temperatures so that you can automate daytime and nighttime heating – meaning you won’t need to be there to turn the heating up and down all the time. 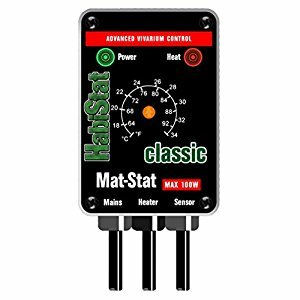 This HabiStat thermostat is designed to be used with heat mats and other low powered heaters up to 100 watts. 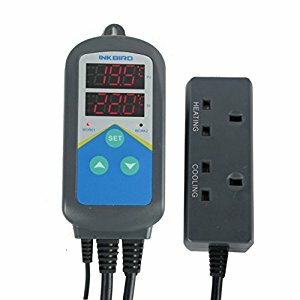 At under £30, it’s great value, just bear in mind that’s it’s only suitable for controlling heating appliances (not lighting). And that’s our round-up of the best thermostats! Want more reptile heating advice? 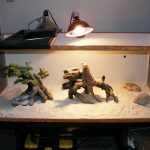 Take a look at our full guide to vivarium heating or check out our specific advice for each reptile. 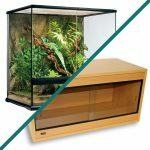 Vivarium vs Terrarium - What’s the Difference?